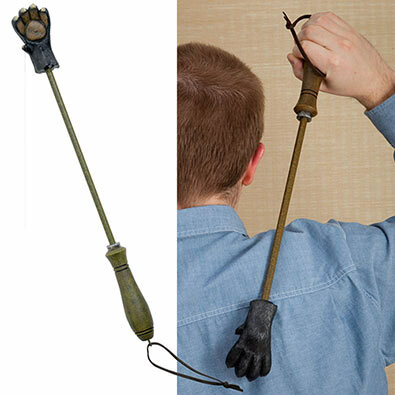 Instant itch relief is yours with our novelty bear paw backscratcher. The claw at the end of the scratcher is sculpted of polyresin and painted to resemble a bear claw – perfect to reach those unreachable spots. The metal pole is fitted with a sturdy handle complete with leather hanger for display. A humourous gift for the wild person in your life. Measures 51cm long.